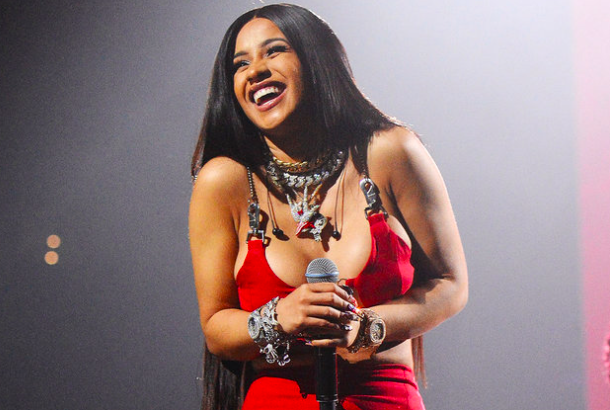 The 26-year-old half-Dominican American rap sensation and Grammywinner has become only the second woman to replace herself at No. 1 on Billboard’s Mainstream R&B/Hip-Hop airplay chart as Pardison Fontaine’s “Backin’ It Up,” on which she appeared as a featured artist, knocks her single “Money” from the summit on the chart dated March 9. Plus, as City Girls’ “Twerk,” which also boasts a guest appearance from Cardi B, bumps 5-3, the Bronx-born superstar becomes the first woman and only third act – behind Drake and Lil Wayne – to claim the chart’s top three positions at the same time. “Up” ascends with a 9 percent boost in plays in the week ending March 3, according to Nielsen Music. “Money” had reigned for the five previous frames.